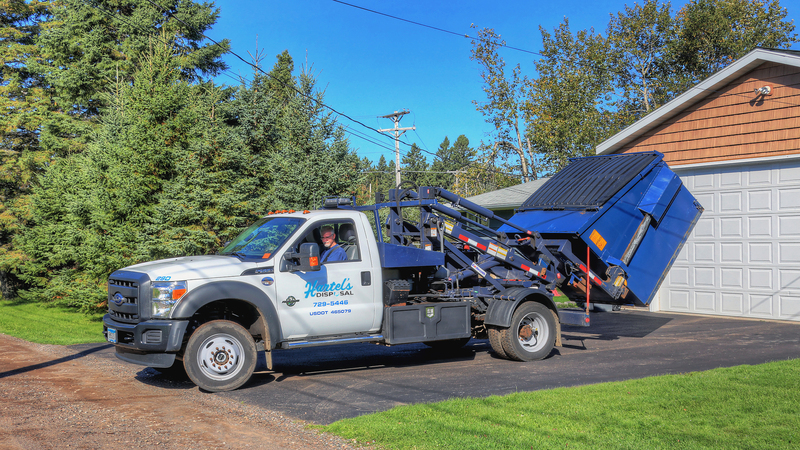 Hartel's Disposal offers 6 yard dumpsters for smaller clean-up projects like basement or garage clean-outs, moving or remodeling. For larger projects, please check out our Roll-off page. 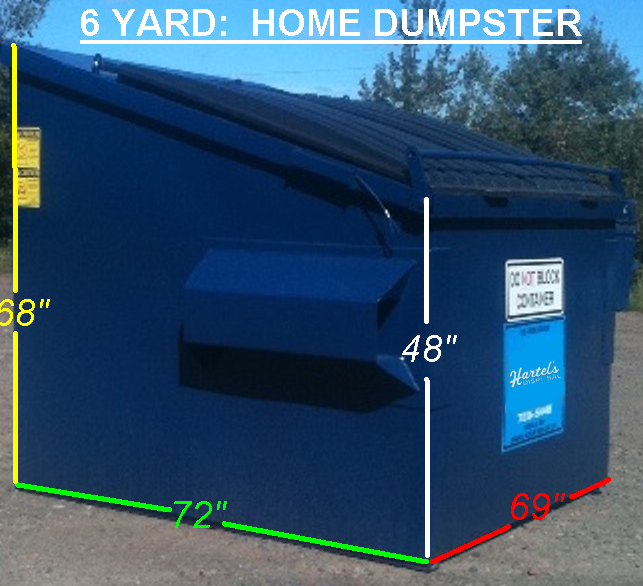 Watch our video to see how we can place a Home Dumpster or Roll-off at your home. 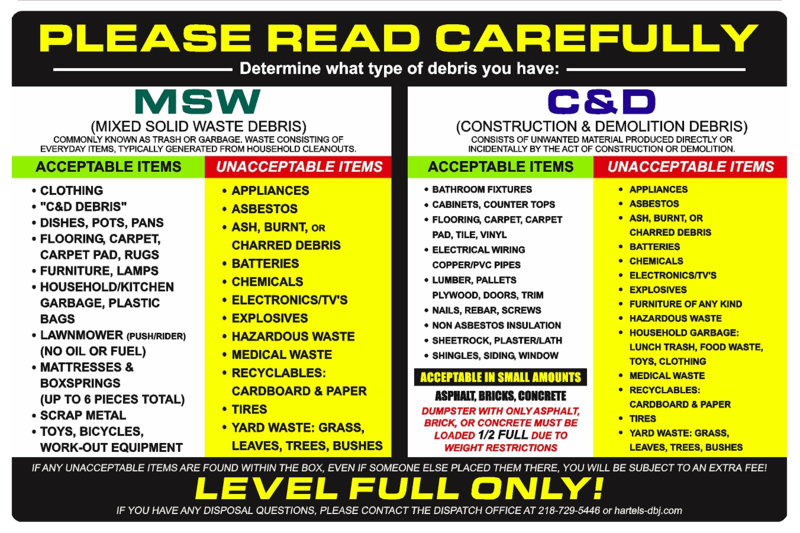 Before requesting a quote, please be sure to read about what CANNOT go into a Home Dumpster. For a quote, please fill out the request form, and we will contact you with a quote within one business day. If you are not sure which size is right for your project, one phone call is all you need to speak with our knowledgeable representative. We'll work with you to find the right size container to handle your project's disposal needs.